The Via All-Star Awards Banquet recognizes members of the Via All-Star teams, Players of the Year, Teams of the Year, awards scholarships for student athletes and inducts members into the Lehigh Valley High School Basketball Hall of Fame. Flutie first rose to prominence during his career at Boston College, where he received the prestigious Heisman Trophy and the Davey O’Brien National Quarterback Award in 1984. His “Hail Mary” touchdown pass in a game against Miami on November 23, 1984 (dubbed “Hail Flutie”) is considered among the greatest moments in college football and American sports history. Flutie was selected as the 285th pick in the 11th round of the 1985 NFL Draft by the Los Angeles Rams, making him the lowest drafted Heisman Award winner among those who were drafted. Flutie played that year for the New Jersey Generals of the upstart United States Football League. In 1986 he signed with the NFL’s Chicago Bears, and later played for the New England Patriots, becoming their starting quarterback in 1988. 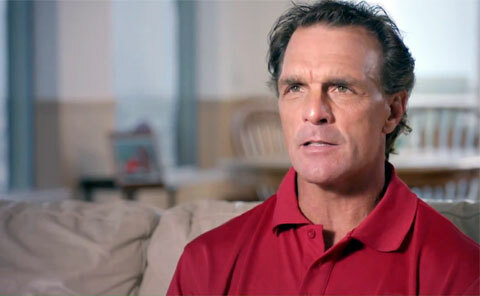 Flutie’s son has autism, and the Fluties established The Doug Flutie Jr. Foundation for Autism, Inc. in honor of him. Playing Field Promotions is a booking agent for motivational sports speakers and celebrities. If you would like to book Doug Flutie for a speaking engagement or personal appearance, contact Doug Flutie’s booking agent for appearance & speaker fees at 1.800.966.1380.